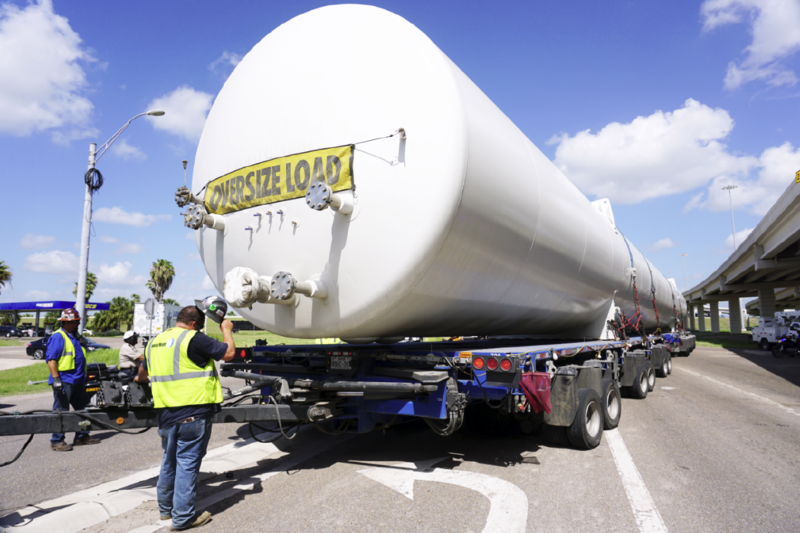 BROWNSVILLE — In the latest sign of activity at SpaceX’s future launch site at Boca Chica Beach, a 95,000-gallon liquid oxygen tank was delivered to the site via flatbed trailer Wednesday afternoon. The massive “LOX” tank, which can hold almost as much as 20 tanker trucks, will be fully installed later this year. SpaceX spokesman Sean Pitt said it points to the company’s continuing progress in developing the Boca Chica site 24 miles east of Brownsville. 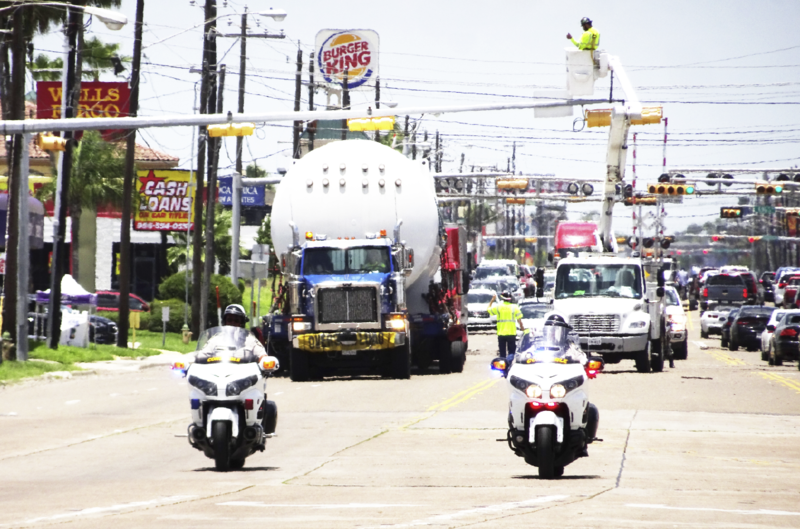 “Delivery of a new liquid oxygen tank, which will be used to support propellant-loading operations during launch and vehicle tests, represents the latest major piece of launch hardware to arrive at the site for installation,” he said. In February, SpaceX CEO and lead designer Elon Musk said brief “hopper flights” of the company’s Big Falcon Rocket spacecraft component probably will take place at Boca Chica, possibly next year. SpaceX is focusing on the development of the BFR to get the first humans to Mars, Musk’s ultimate goal, though it had originally planned to develop the smaller Falcon Heavy rockets for the purpose. The BFR rocket/spacecraft system will be built at a SpaceX facility at the Port of Los Angeles. Fully assembled, it is expected to stand 340 feet tall, according to the Los Angeles Times. SpaceX is headquartered in Hawthorne, Calif., with launch facilities in California and Florida and a rocket engine testing facility in McGregor, Texas. To date, SpaceX has installed more than 600 kilowatts of solar arrays at the site, plus two 86-ton ground station antennas for tracking crewed flights to the International Space Station aboard the company’s Dragon reusable spacecraft. Early estimates had the first launch taking place in 2016, though multiple delays pushed it back. SpaceX now plans for Boca Chica to be operational before the end of 2018. In 2008, the company’s Falcon 1 was the first privately developed liquid rocket to reach orbit. SpaceX’s Dragon spacecraft, on its maiden flight in 2010, was the first privately built and operated spacecraft to be recovered from orbit. In 2012, a different version of the Dragon became the first private spacecraft to dock with the International Space Station. In December 2015, SpaceX achieved another historic first by launching a reusable Falcon 9 rocket into orbit and then returning it to the launch site in a controlled vertical landing. Last February, SpaceX celebrated the successful maiden launch of the Falcon Heavy, the world’s most powerful rocket, and the controlled return to Earth of two of its three reusable booster rockets.